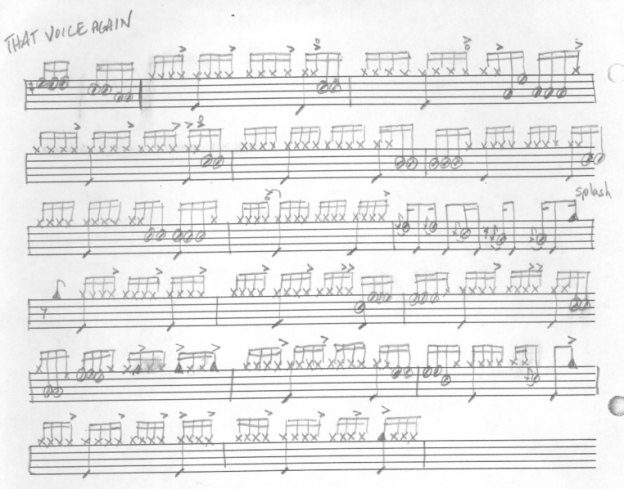 The ever graceful Manu Katché plays some of his most musical and intense drumming inside this inspiring passage from “That Voice Again” by Peter Gabriel. It’s all toms cymbals, and kick drum. This is a partial transcription of the song (the second pre-chorus before the last chorus). Incredible! Click on the image or link below to view or download the PDF file. This is from Peter Gabriel’s masterpiece album “So”, most famous for the single “In Your Eyes” which also features Manu Katché’s brilliant drumming.